Thank you, thank you all for giving my yarn a new home. There are still a few items left from the original posting, and I decided to add a couple more things for sale. As before, prices are in USD and include shipping to the contiguous 48 US states. Paypal is preferred, but will accept other forms of payment. Take a look! This is leftover from the Haruha Scarf. 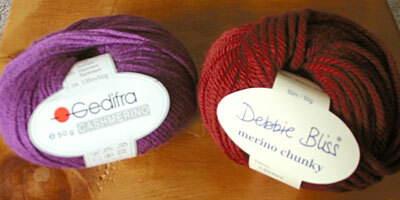 Over half the ball is left over (4.5oz out of 8oz), so definitely enough to make another lacy scarf. 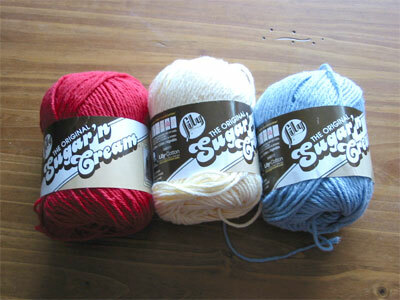 Three brand new balls in red, cream, and light blue. I tried to become a dishcloth knitter, but it’s just not in me. Remaining items from previous sale post after the jump. Colors shown are #5545 and #0010. 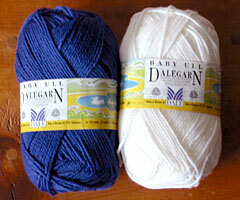 I have a second skein of the blue. It was meant for a hat to match the Anemoi Mittens, but now I have no need for wool hats. 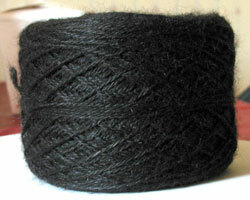 What I have here is just over 90g, so less than a full skein. 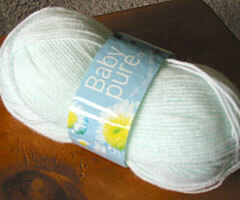 It’s probably about 280 yards, enough for a hat/booties set or a toy. A 135m/50g ball. Enough for a baby hat. I can throw in another oddball to give you a little extra. Color is #1446. The Debbie Bliss is spoken for. This is a sold-out issue. I had to raise the price on this because I realized it costs me more than $2 to ship, even using media mail. Oops! 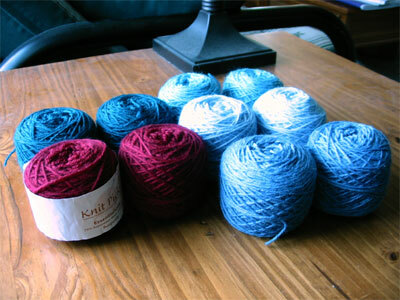 CogKnition posted this on July 12th, 2008 @ 1:49pm in Yarn | Permalink to "Stash Sale Update"